The village of Ospringe and the hamlet of Painters Forstal are located on the south west borders of Faversham, about 1 mile from the town centre. 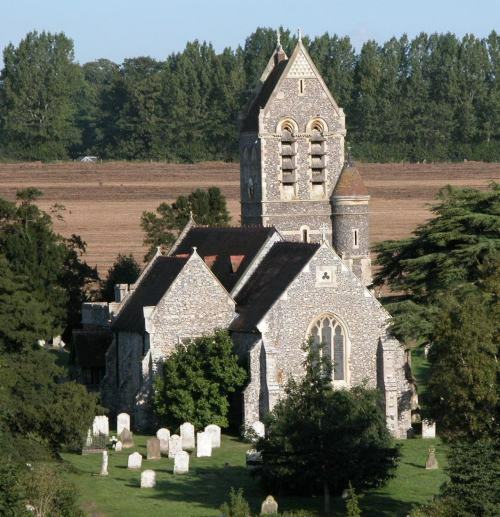 Ospringe parish is situated on the edge of the Kent Downs and has been composed from an eclectic mix of nine hamlets, which have their origins set around a drovers road, the upper reaches of the Nailbourne Valley and farms dating back beyond 15th. Century. The received derivation of the name is from Anglo-Saxon os (long o) and spring­, meaning spring of the divinity. In pagan times all springs in this country were held sacred anyway. The boundary changes of 1935 annexed the village of Ospringe to the neighbouring district of Faversham. However the Church of St Peter and St Paul which dates from 1086 is still within the parish, and there are many properties dating from the C 16th. several of which are now listed Grade II structures. The parish encompasses nine hamlets, the major one being Painters Forstal which now acts as the centre of the parish. Painters Forstal takes its name from Painters, a 16th-century house on the edge of the little village. This was a manor-house owned in medieval times and till 1547/8 by the trustees of St Stephen's Chapel, Westminster (which later served as the House of Commons till the Palace of Westminster was mostly destroyed by fire in the 19th century and whose crypt survives within the present complex). The term 'forstal' is a generic term meaning the land in front of a farm and its farmyard - so there are lots of ----- Forstal names in the county (eg Throwley Forstal nearby). 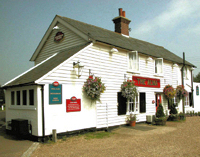 The village is centred on a small green and a pub, The Alma, that dates back to the C 16th. The largest residential settlement of the parish the village straddles a junction in an ancient drovers road. It has grown up around two major farms whose current houses date from the C16th. The 20th century development is ribbon type along the three roads of varied style and design with houses arranged to provide a village green as the centre of the village. Outside the residential area the village is surrounded by predominantly orchards, but includes arable and soft fruit acreage. The bulk of housing in the area was built in the Victorian era with a steady increase on through to the 1960’s. The Parish population has quadrupled in the last sixty years. 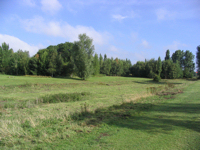 The parish is in part an Area of Outstanding Natural Beauty (AONB) and has several conservation areas, and, roadside nature conservancy areas, within its boundary. The character of the countryside within the parish has changed over the years with the decline in hop growing, the oast houses, or drying kilns, still make up a many of the local buildings, some being sympathetically converted to residential use. Although some hop gardens are still in use in the parish, mixed agriculture is the main activity of the area. The nine hamlets are predominantly ribbon developments along the various small winding lanes that lead to the principal residential area, the village of Painters Forstal. The Brogdale Road forms the main entrance to the parish and is an important link to the village of Painters Forstal and other parishes further into the downs. It is urban in appearance as it begins its route from the A2 but soon narrows into a country lane where it is softened by planting of colourful, mature trees. Many very narrow country lanes stem from this main route to feed the hamlets. Brogdale is the second largest settlement in the parish with ribbon development either side of the road, and takes it name from the farmhouse of the same name that has stood on this spot since Domesday. Other than the farming of fruit at the Brogdale Trust the area is surrounded by working farmland, pasture for sheep and grazing for horses. Outside of the residences green verges and mature hedges bound the road. Each hamlet has its own strengths, but each area compliments the whole, and is the backbone of the local character of pretty pasture, orchards, rich arable fields and woodland which are linked by narrow country lanes edged with attractive hedges or green verges.